There are a number of ways organizations use workflow automation to achieve their business objectives. 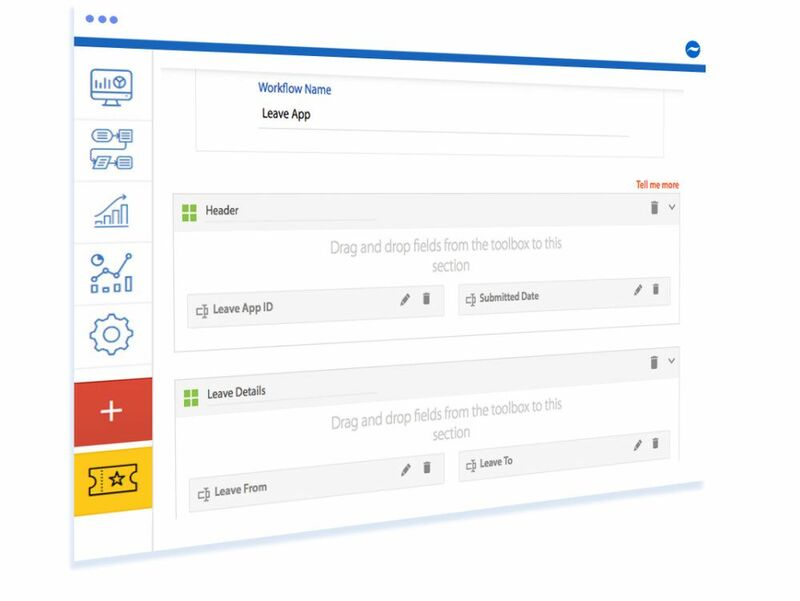 Come along for a quick tour of Cflow – the intuitive Workflow Automation Software. 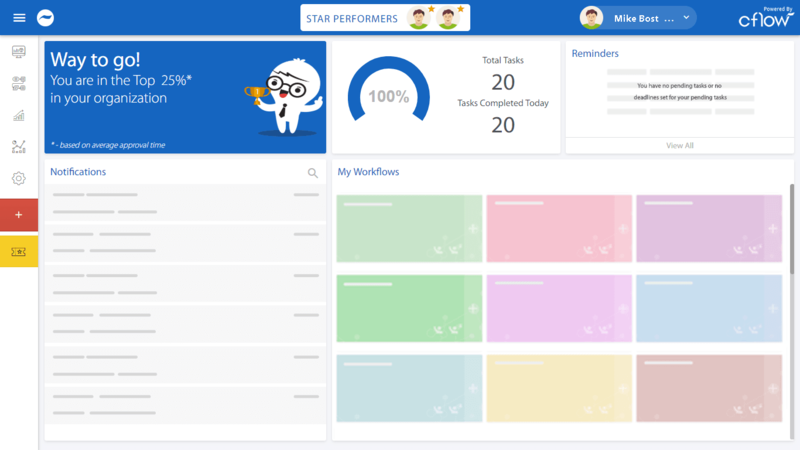 Cflow’s simple 2-step Visual Workflow Builder will help you get up and running in a matter of minutes and you will experience the easier way of getting work done. You can create your workflow in 2 ways – Select a process from the “Process Library” or start from scratch by clicking on the “Create new workflow” button. Selecting a workflow from the “Process Library” will import and automatically publish the workflow so that it is ready to use. The whole process takes less than 2 minutes. Clicking on the “Create new workflow” button will take you to the 1st step in the workflow creation process. Give a name to the process you wish to automate, say., Employee Onboarding Process, Leave Approval Process or something similar. Need to fill in order items or multiple items in a form? No problem, add a Table section to your form and specify the columns you wish to have. Need to do complex tax calculations? No problem. Use hidden fields to store intermediate values and use the math feature to define your tax calculation. Create your workflow simply by clicking the Process Stage button and connecting the stages. There is no code to write and your entire process can be automated in a matter of minutes. 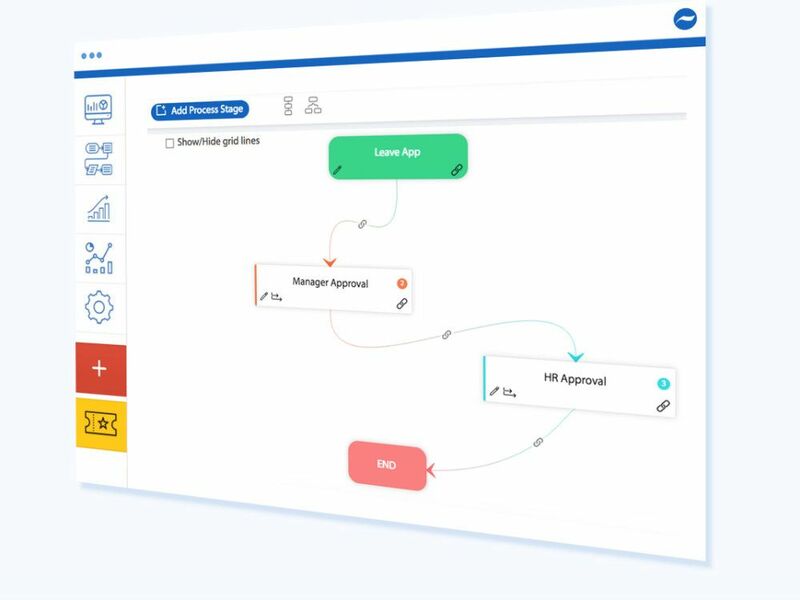 See how 100s of organizations, small and large, have automated their processes, simple and complex, using Cflow – the simple workflow automation platform. Need to capture data in each stage? You can add/remove fields, design a new form in each stage and set field properties that give maximum flexibility to the workflow designer. Create a parallel flow where the request is sent to two or more stakeholders simultaneously. The request is seen by all parallel owners and they can approve and comment easily. One branch of the parallel flow needs to go through a sequence of approvals before it joins the main trunk? Sure, we can do that. The business user can get a process up and running in no time using Cflow.